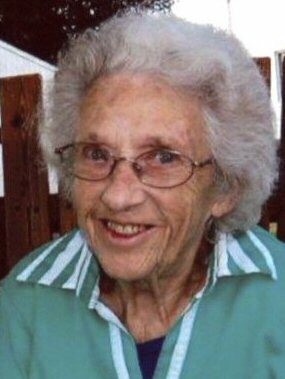 OSWEGO, NY – Irene A. Wilder, 89, a resident of County Route 1 in the town of Scriba, passed away Tuesday January 20, 2015, at her home, surrounded by her loving family. Mrs. Wilder was born in Oswego, the daughter of the late Robert and Josephine “Marie” (Murray) Anthony. She was the wife of the late Donald McManus, who died in 1962, and the late Charles Wilder, who died in 1998. She was a member of Trinity United Methodist Church in Oswego. She is survived by four sons, Lawrence (Mary) McManus of San Antonio, Texas, Daniel (Diane) McManus of Oswego, David (Guiyu) McManus of Oswego and Jeffrey McManus of Oswego; a daughter, Susan (Darrell) Kondratowicz of Pulaski; a sister, Jeannette Crouch of New Jersey; a brother, Robert (Judy) Anthony of Cato; 15 grandchildren; eight great-grandchildren; and several nieces and nephews. In addition to her parents and husbands, she was predeceased by a brother, Edwin Anthony; and four sisters, Elinor Van Buren, Marie Demling, Helen Pupparo and Ann Smith. Funeral services will be held at 7 p.m. Friday at the Dain-Cullinan Funeral Home. Spring burial will be in Oswego Town Rural Cemetery. Calling hours will be held from 4 to 7 p.m. Friday prior to the service, at the funeral home, 112 E. Second St. In lieu of flowers, contributions can be made to the Alzheimer’s Association at www.alz.org; or to the Trinity United Methodist Church, 45 E. Utica St., Oswego NY, 13126.